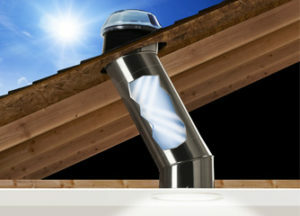 Solatube vs Velux Solar Tube Reviews - Best Solar Tubes of 2019! Lighting is important in the home. It changes the whole mood and feel of any room and can have a big impact on the general style. It will also have an affect on all of the people who live there. Certain lighting and bulbs can be harmful to your eyes, especially when used for prolonged periods. 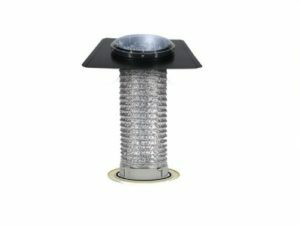 In this Solatube vs Velux Solar Tube reviews and comparison guide you will learn all about which brand produces the best sun tunnel! The bottom line is that nothing beats natural light as more people realise this, the focus is being shifted to how we can get the outside light, indoors. Windows are of course the obvious answer but not every room has windows and it just isn’t practical to have them. Sun tunnels are the solution. Sun tunnels were developed by those striving to bring natural light indoors. If you’ve had to fill your home with lamps and it still doesn’t feel right, you probably need some natural light! They work by channelling light through these tunnels and directing it into a certain room or space. This let’s the sun in and brings the outside lighting inside. These tubes are made to be highly reflective so the sunlight can bounce down it and travel to the desired location. There’s a couple of options when it comes to sun tunnels. Rigid sun tunnels are used in situations where a fixed tunnel can be done directly from point A to point B. 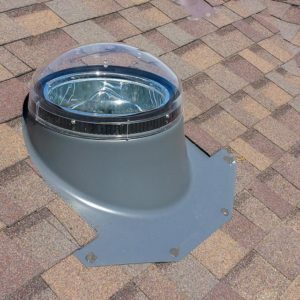 These are preferable as they allows the maximum amount of light to travel down them with and the most light gets into the room. The more common approach is to use a flexible tunnel. These are for shorter distances and allow you to worm your way around past any obstacles in the way. The flexible tube will reflect less light so it will be darker. There are a number of companies that produce sun tunnels but two of the most well known are Solatube and Velux. Let’s take a look at what they have to offer so you know where to go for your sun tunnel. Solatube have been operating for over 25 years and in that time they’ve been responsible for helping to advance the industry with their research and development. As pioneers of the technology they’ve now grown to the point where they operate in over 90 countries, offering daylight indoors all over the world. Solatube are the most well known brand in the industry and pride themselves on using the best materials, most progressive engineering and the most cutting edge technology. Their whole business is built around their innovation and they’re constantly making improvements to keep the company fresh. Each of these has a different use and while the Brighten Up series is perfect for small residences the SkyVault series can be used to light a whole sports hall. They’ve used their innovation to develop each product so that the light retention rate is higher than it’s ever been, even on flexible units. Solatube products all do very well across the board and even though it’s not a huge range it’s enough choice that everyone has a few options. Solatube quality comes from their constant improvement year on year. They are always researching into improvements to help improve the efficiency and output from each of their sun tunnels. The sun tunnels themselves are made using good quality material and have received the approval from governments and external agencies regarding the quality and reliability. 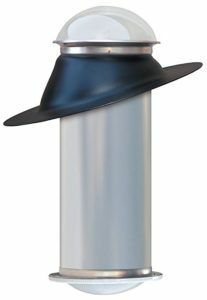 The Solatubes are now all built with reflective material that is 99.7% effective. This means a greater transfer of light down the tunnel into the room and much less energy being wasted on the way. The efficiency of all of their products continues to improve as they iron out any kinks in the design stage. Solatube back up their quality with a 10 year warranty. This covers the products fully so if any issues do arise you’ll get the parts replaced for free. This shows the company’s faith in their product and materials. All in all Solatube have done a great job in designed a high quality, well built, efficient and elegant product. Solatube have stayed as the biggest name in the industry by constantly keeping high standards and never compromising on quality. Velux have been operating for over 70 years forging the way forward for a better environment. The Velux group realised long ago that 90% of the average person’s day is spent inside. They understand how important natural daylight is and the need to bring that indoors. During this time Velux have been driven by their passion of creating and improving living environments for people all around the world. They have a real appreciation for nature and the wonders of natural light and fresh air and how it can be incorporated into today’s world. 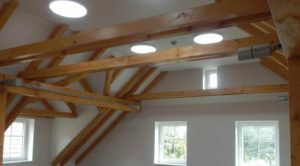 Velux have a wider product selection than Solatube as they have created more home improvements. Their range includes shutters, windows and skylights but it’s their sun tunnels that are at the heart of what they do. Velux has a number of sun tunnels and you can choose between the rigid or flexible varieties. Both are made with advanced plastics and reinforced paned glass to allow in the light. They offer them in a range of sizes so that you can find the sun tunnel which as all the requirements you need. Velux take a lot of pride in what they do and they’re constantly looking to improve their products and their performance. Velux have put a lot of time into making their sun tunnels easy to install and fit. A complete installation kit is provided with every purchase and allows the user to fit themselves. The sun tunnels themselves work in the same way as Solatube but there are subtle design differences in practice. Where Solatube use a dome to collect the heat, Velux use a flat glass plate. The flat plate can attract dirt and grime whereas the dome helps resist these as they slide off. Similarly Velux have not developed their product to collect an even amount of sunlight throughout the day. The harsh midday sun can make certain rooms too bright and while Solatube have added the feature in to regulate it, Velux have not. The quality of the materials used by Velux is very high. 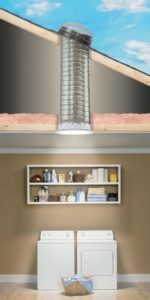 The construction quality is also high and there is a lot of innovation behind their products, unfortunately they just don’t seem to have all the kinks worked out like Solatube have. Nevertheless some great products and good quality. Both of these companies are well known for their sun tunnels and they both have some impressive products under their belt. 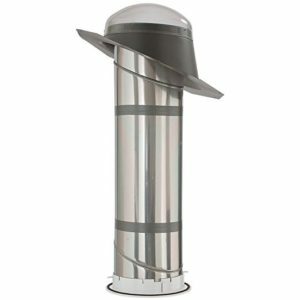 Velux have a lot more variety of products outside of their sun tunnels while Solatube is very much focused on the one item. It’s perhaps for this reason that Solatube come out ahead. While the process for Solatube and Velux is the same, Solatube have developed their product so it works better for the customer. Little changes and adaptations have made it more useful than the Velux counterpart. So if you’re looking for a sun tunnel then Velux has some great options, but Solatube is definitely the way to go.